A stock photo of a Shinkansen train. Credit: David Harding/Shutterstock. Work is to begin on India’s first high-speed rail project – known as the Indian Bullet Train – thanks to financial and technical support from Japan. On September 14, the prime ministers of India and Japan, Narendra Modi and Shinzo Abe, will head to Ahmedabad, Gujarat, for the mammoth project’s groundbreaking ceremony. India’s railway ministry said the Mumbai–Ahmedabad High Speed Rail (MAHSR), as it is officially known, will herald a new era of “safety, speed and service” for the country. Connecting Mumbai – India’s most populous city – to Ahmedabad, the 508km high-speed line will cost around €14 billion, with the majority of funding coming from a low-interest loan from Japan. Described as a “soft loan”, around €11.5 billion is being provided from the Government of Japan at an interest rate of 0.1 per cent. The repayment period on the loan is 50 years, to begin 15 years after receiving it. Already ground surveying using LiDAR technology and geotechnical investigations have been completed, as well as specifications for track, tunnels, bridges, signalling and telecoms. Should work progress as planned, the project should be completed by December 2023. 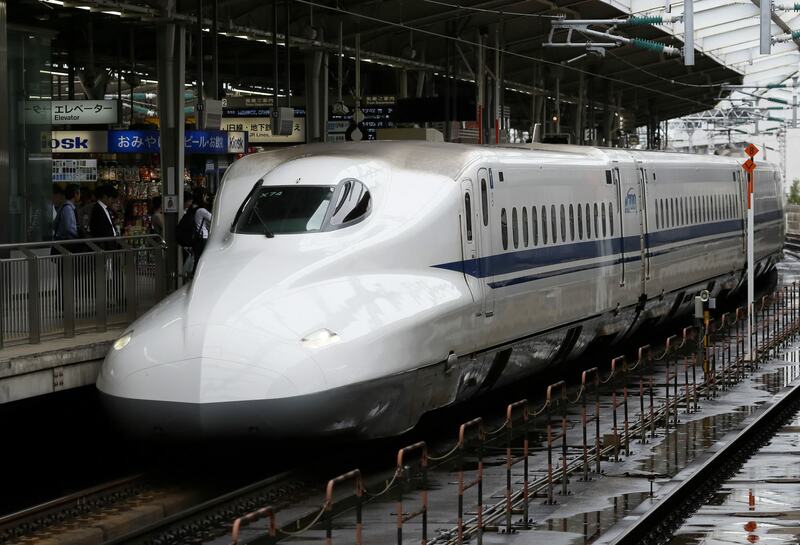 Using Japanese Shinkansen technology, trains on the line will run at speeds of around 320km/h and cut the current train journey time from seven to eight hours down to potenially two hours between Mumbai and Ahmedabad. The line will feature 12 stations: Mumbai, Thane, Virar, Boisar, Vapi, Bilimora, Surat, Bharuch, Vadodara, Anand, Ahmedabad and Sabarmati – all of which will be elevated except for the underground station in Mumbai. Authorities estimate that the project will create 20,000 jobs during construction and later sustain 4,000 direct and 20,000 indirect jobs once it is operational. A Make in India initiative will ensure that the majority of investment is spent within the country with four sub-groups tasked with identifying opportunities in track, civil works, rolling stock, and electrical and signalling and telecoms. A High Speed Rail Training Institute is being created at Vadodara, Gujarat, and will be opened by 2020 to train local workers to operate and maintain the high-speed line. There will also be an element of knowledge transfer, with 300 Indian Railways officials set to travel to Japan to complete high-speed technology training. In a published media briefing, Indian railway minister Piyush Goyal, who has been recently appointed to the role, said: “It was envisioned by Prime Minister of India, Shri Narendra Modi to take Indian Railways towards most modern technologies like developed countries. “This bullet train is an endeavour to bring economic growth and prosperity in the country with the growth of Indian Railways adopting most modern technologies. Despite work only just beginning, India is already looking to the future by reviewing other potential high-speed corridors: Delhi-Kolkata, Delhi-Mumbai, Mumbai-Chennai, Delhi-Chandigarh, Mumbai-Nagpur and Delhi- Nagpur. National High Speed Rail Corporation Limited has been founded by the Indian Ministry of Railways to implement the MAHSR.